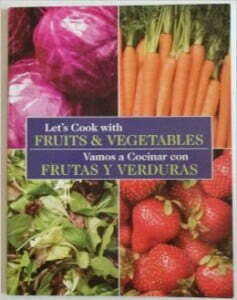 In Let’s Cook with Fruits and Vegetables there are many recipes that are designed to encompass WIC ingredients. All of the recipes are simple, affordable, and delicious. The first part of the book is in English while the second is in Spanish.